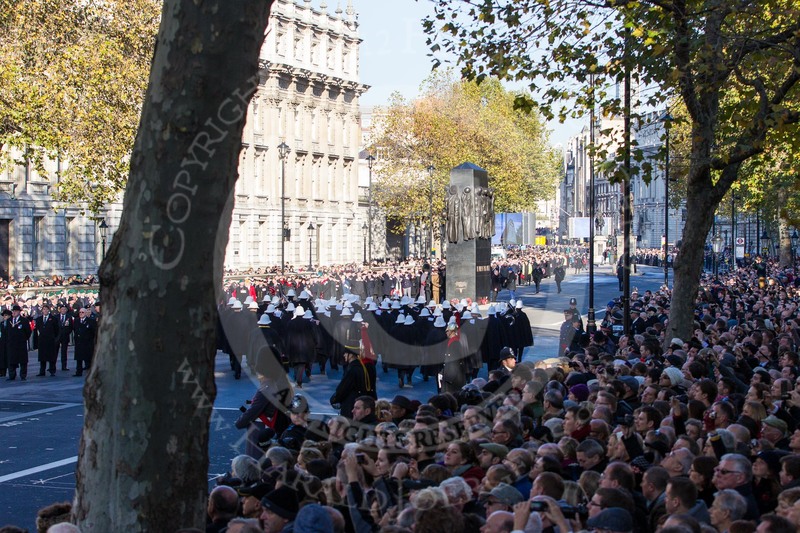 Royal Air Force and Royal Marines servicemen at the northern side of Whitehall in front of the Foreign and Commonwealth Building. 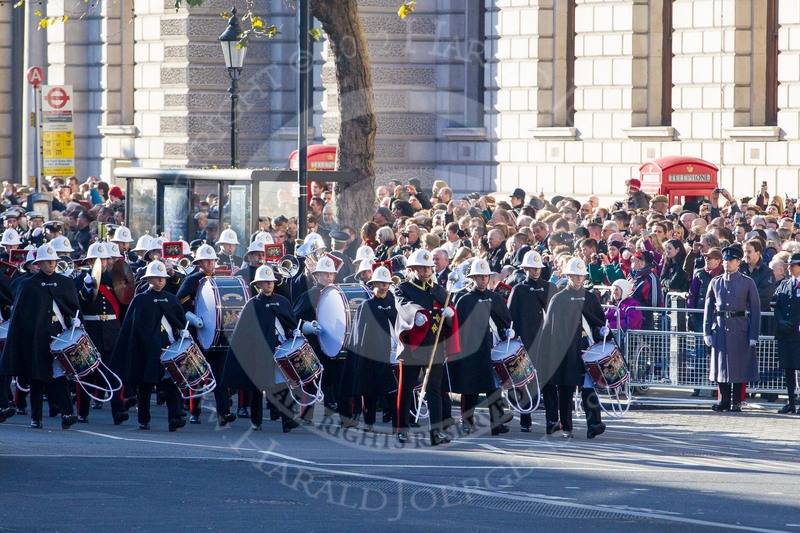 The Band of the Royal Marines arrives from Great George Street, on the western side of Whitehall. 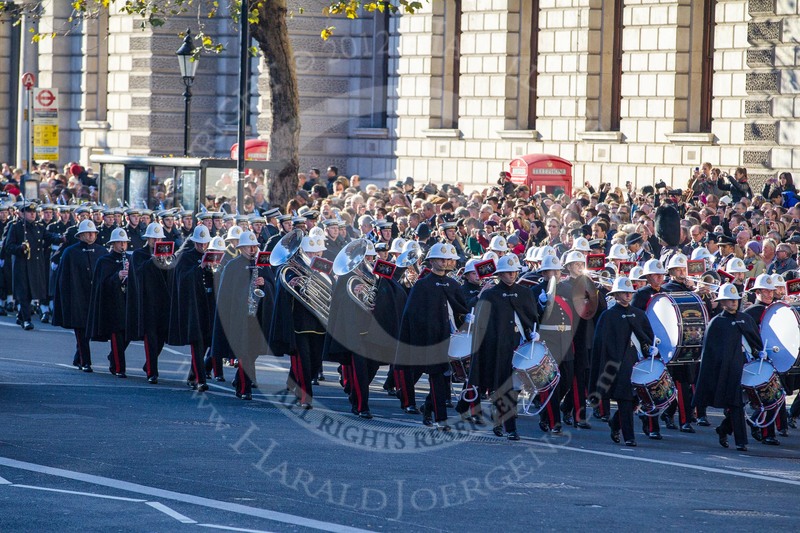 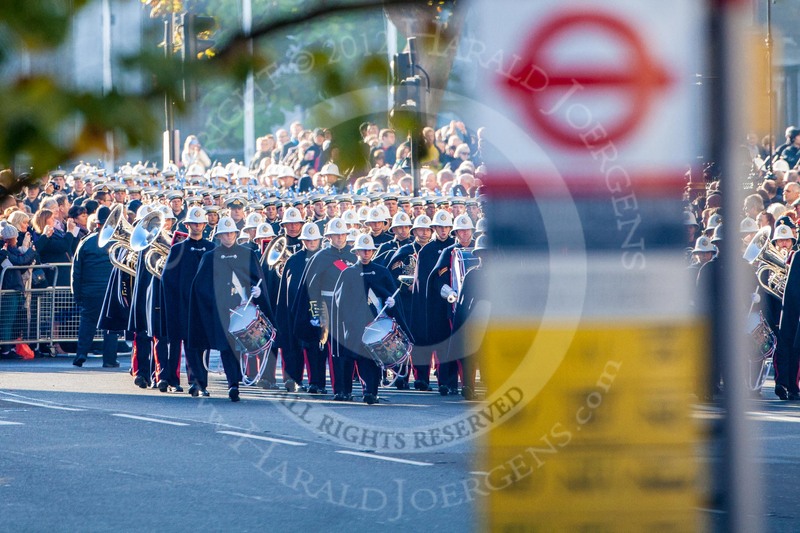 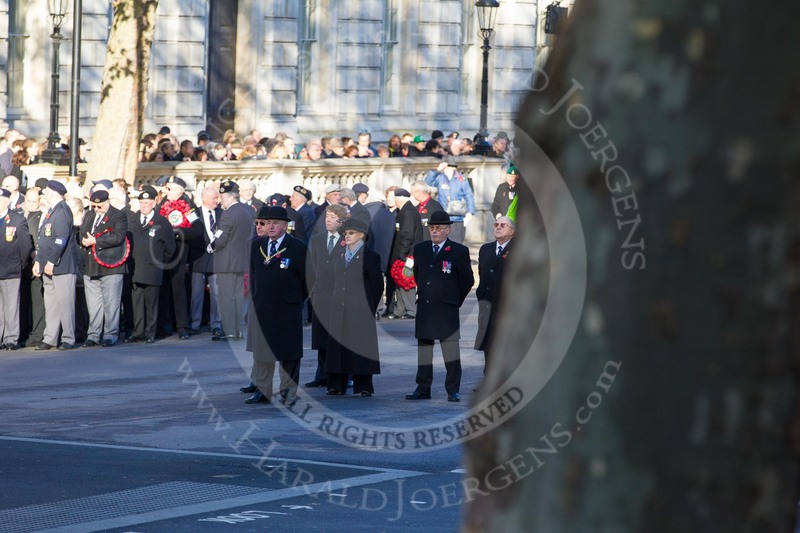 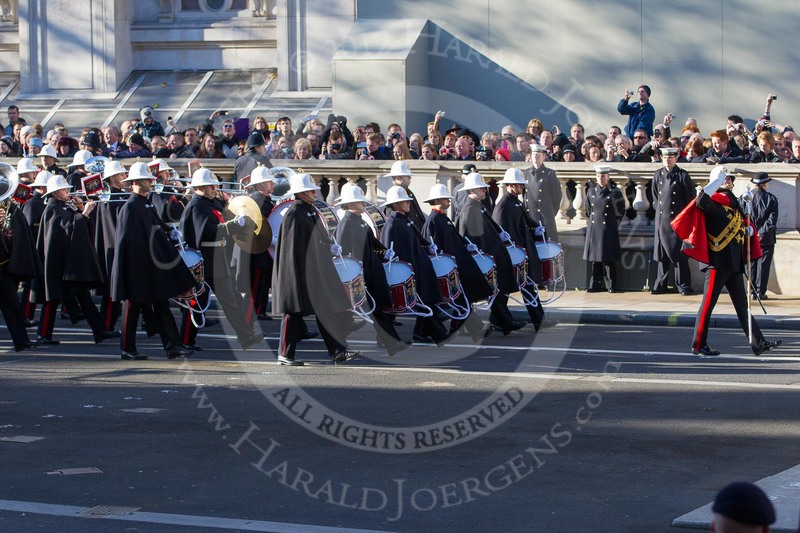 The Band of the Royal Marines, followef by a Royal Navy detachment, marching towards the Cenotaph. 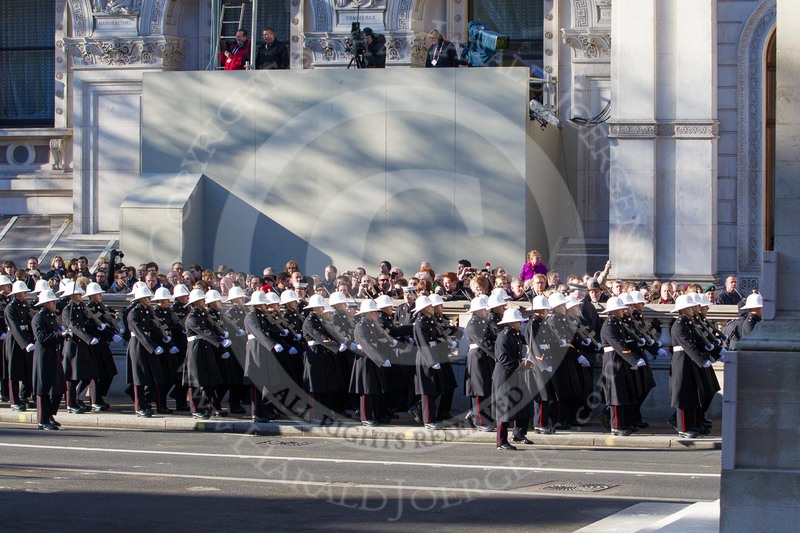 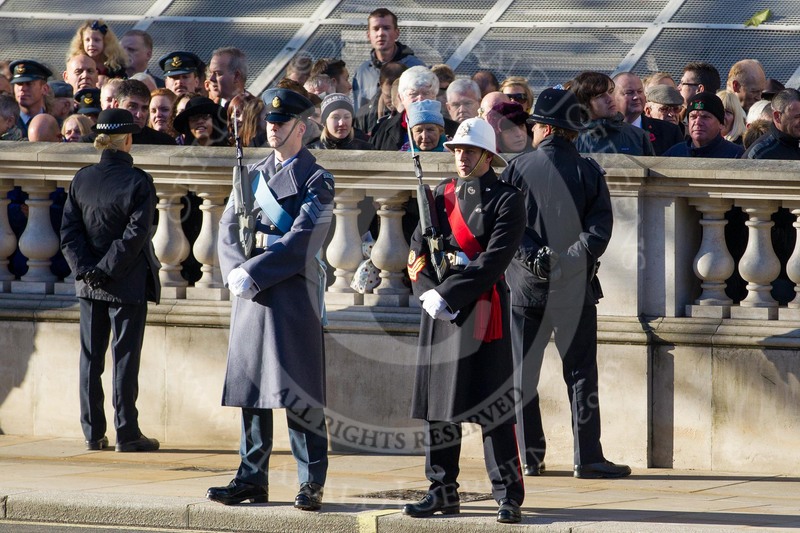 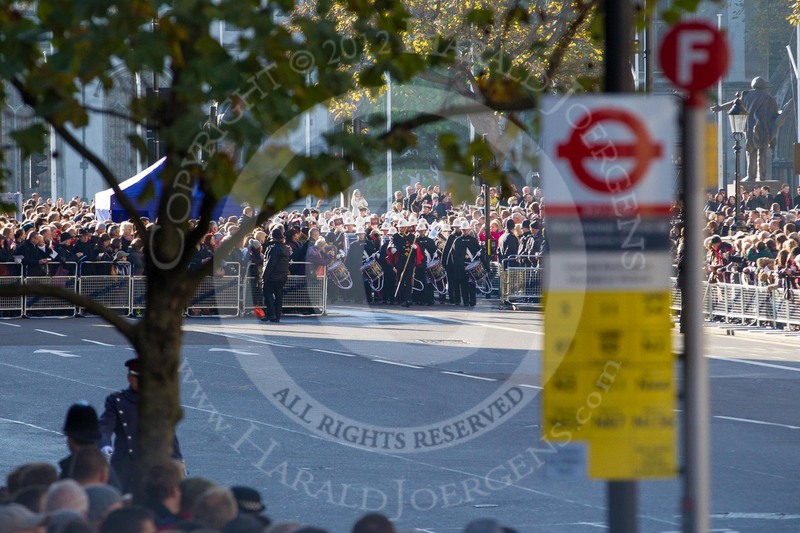 The Band of the Royal Marines arrives at the Cenotaph, the Drum Major saluting. 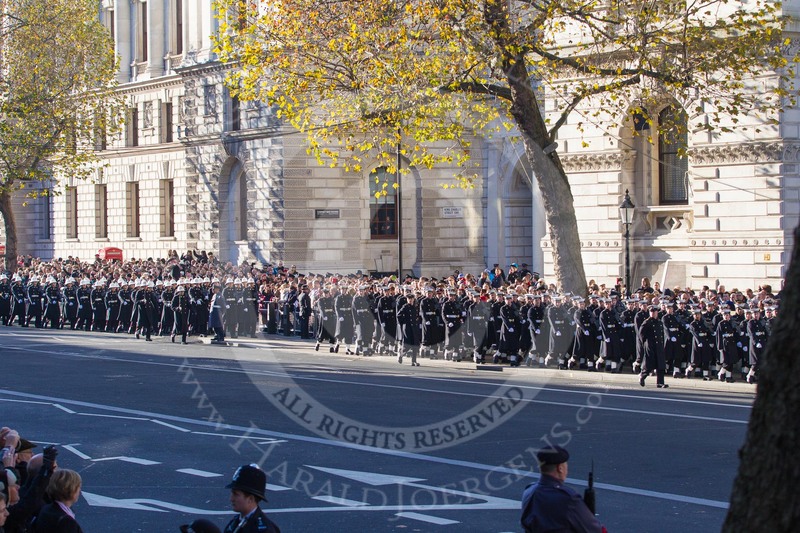 A detachment from from the Royal Navy, followed by the Royal Marines, marching along the northern side of Whitehall towards the Cenotaph. 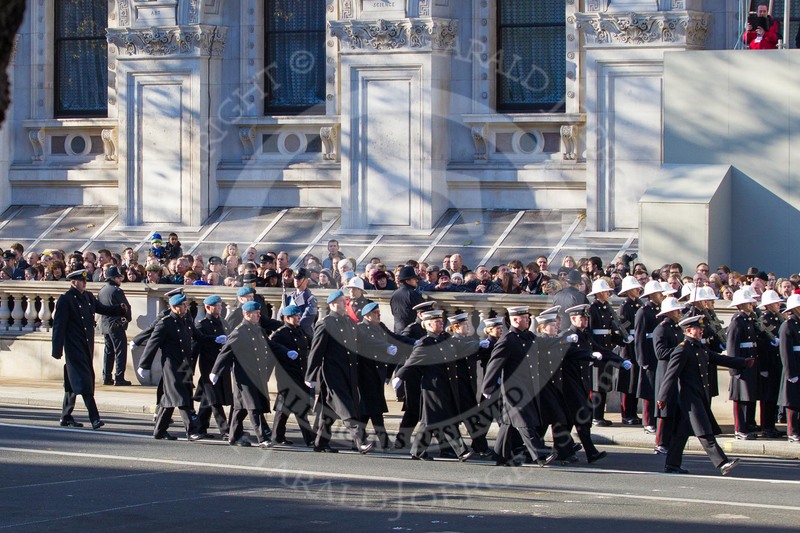 A detachment from from the Royal Marines passing the Cenotaph on the northern side of Whitehall. 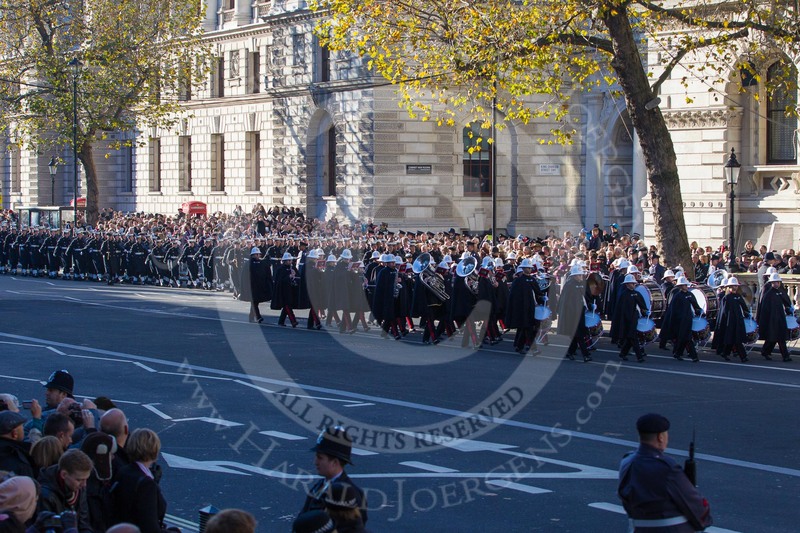 The detachment from the Royal Marines is followed by detachments from the Royal Navy and (? 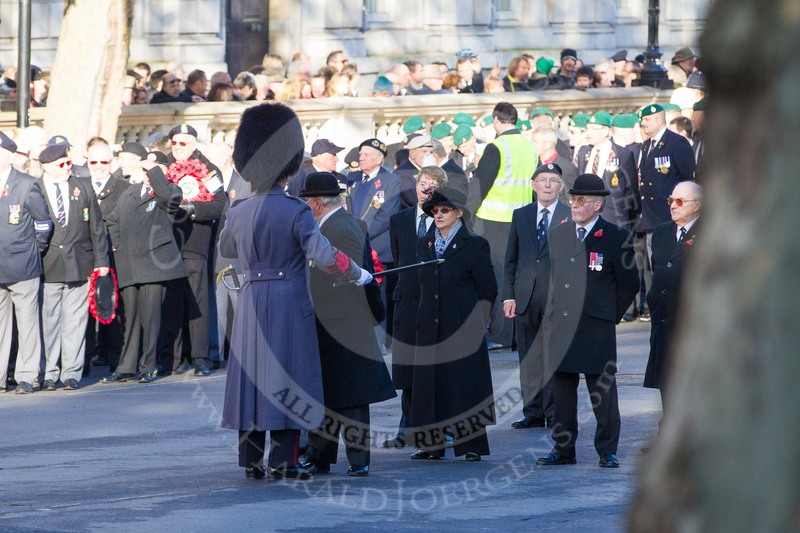 - information would be appreciated!). 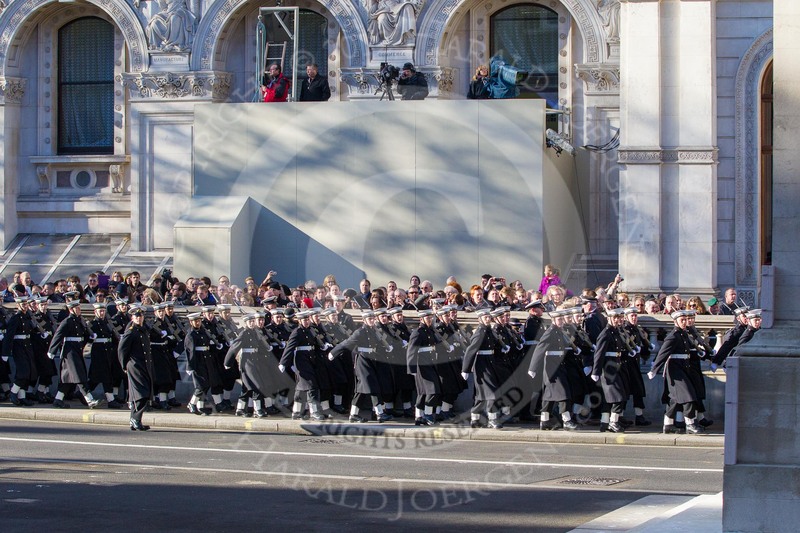 The Band of the Royal Marines gets into position on the eastern side of the Cenotaph, in front of the Memorial for Women in World War II. 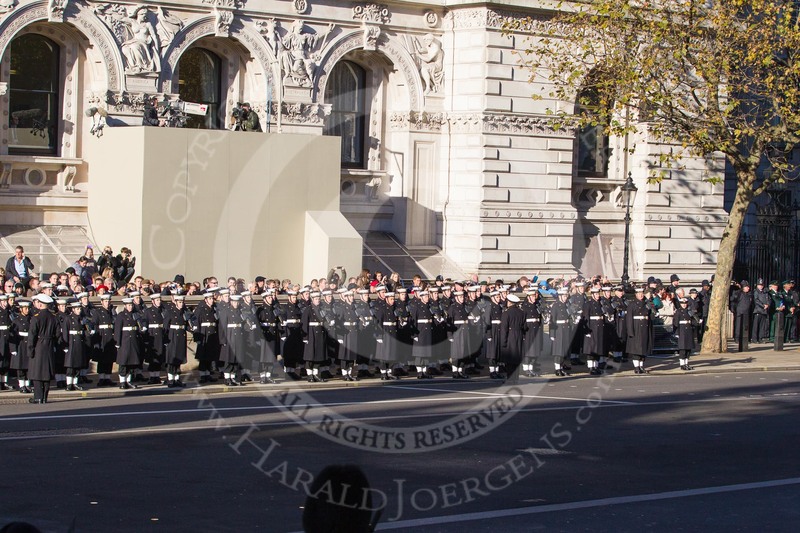 The Royal Navy detachment in position on the northern side of Whitehall, between the Cenotaph and Downing Street.